If you are looking to find ways on how to stop snoring issue, its important to first understand its causes. To try different simple remedies is another important step. Moreover, if you and your partner mutually want to deal with the disorder and find the right remedy to cure it, knowing how to deal with the issue is the most significant thing ever. Read more to know how. While one snores occasionally, one doesn’t worry about it and casually ignores thinking it as a normal sleeping habit. In no time, this casual snoring becomes severe and starts affecting the snorer’s health and partners too. Not just this, the regular loud snoring also becomes the reason for issues between relationship causing major problems too. How do you stop snoring becomes the next question of concern among the partners. Very few couples know how to deal with the issue in a healthy manner without embarrassing the snorer about the disorder being faced by the duo. One needs to know the major causes and different ways one can control the snoring problem before thinking to get it treated with medical help. Above all, how to talk to each other to find the right solution is another matter of concern. This shouldn’t be taken lightly because how you talk or deal about the disorder can worsen the situation or can cure in the easiest possible way. -With age, the airway passage narrows and the throat muscles also decrease which results in snoring sound. -Overweight is one of the major reasons for the increase in loud noise. The excess tissue inside the throat makes the passage shrink, giving less space for the air to pass easily. -Nasal blockage or the stuffy nose is also the reason for the increase in snoring issue. -Consumption of alcohol, smoking, and even certain medicines relax the throat muscles, which in turn reduces the airway passage. Thus, this causes the snoring problem to a great extent. – Sleeping on the back is another reason for the snoring to occur. The throat muscles relax and block the airway. Therefore, the snoring issue gets triggered causing loud noise. There are many remedies to control snoring to a great extent. However, not every remedy is suitable for all the people as it varies from person to person. Simple lifestyle changes, patience and trying different solutions from the below-mentioned ways can help one cure it. Right elevation of the head during sleep is most important. This helps to ease the breathing process giving enough space for the air to pass without any obstruction. Sleeping on the side than on the back should become the regular sleeping practice. One can also enforce this by tieing the tennis ball at the back of the snorer which makes sleeping on the back uncomfortable, forcing to sleeping on the sideways eliminating snoring. 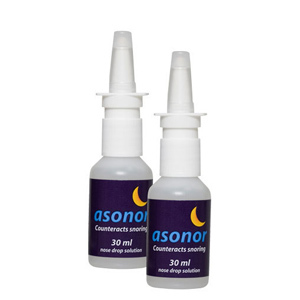 Anti-snoring nasal spray, neti pot or nasal strips help to treat the stuffy noise ensuring an easy process of breathing. Anti-snoring external appliances also ensure the jaw, mouth, tongue, and throat stay in the right position during sleep. This simple way helps to open the airway excluding the snoring issue. Keep one hydrated helps to combat the snoring problem. The dehydration makes the noise mucus sticky making the noise stuffy; making the nasal airway blocked which results in loud noise of snoring. Lifestyle changes like losing weight become imperative in order to treat the snoring problem. The excess fat tissue near the throat makes the airway passage narrow causing snoring. Avoiding consuming alcohol or smoking before bedtime helps to reduce the snoring problem. These addictive habits relax the muscles triggering snoring. Regular exercise in general also helps to reduce weight and hence tones down the throat muscles too. This, in turn, leads to less snoring. 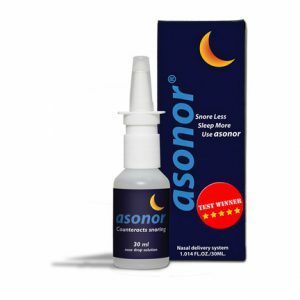 There are some of the good simple medical help to reduce snoring problem. To keep the airway open, this mask provides air pressure, which keeps the nasal pathway open, avoiding the snoring to occur. Custom fitted dental devices are another way to keep the airway open. This device keeps the jaw or the tongue forward, which gives enough room for the air to pass smoothly. If nothing works effectively to control the snoring problem, surgery helps to increase the airway size to make the air pass smoothly without any obstruction. During surgery, the extra tissues are removed and if any abnormalities are treated to eliminate snoring. It’s not a disease but just a physical issue and can be treated. One shouldn’t make the snorer partner embarrassed by considering it havoc of an issue. Making each other clear that relationship is most important and that, you both would do everything to try remedies to find the best solution for your snoring problem. Handling the inappropriate behavior by the partner is what makes the relationship stronger by addressing the odds in the right manner. Irritation and frustration accompanied by lethargic behaviour are natural by the snorer because the disturbed sleep triggers these mood swings. Hence, the partner of the snorer is the one who needs to understand and take things strongly in their stride to deal with the disorder mutually. Taking the things of partner seriously without the complaining nature in mind towards snoring disorder is what helps in dealing with the issue. Lack of sleep and the complaining nature by the snorer’s partner can make things miserable. These are some of the main things one should know in order to stop the snoring issue. Above the causes and remedies, dealing and talking about it to find the right solution along with your partner is equally important.